The mass spec of 4-nonanone shows peaks at m/z = 58, 71, 86, 99. Using curved arrows or hooks, show how each of these fragments can form via alpha cleavage or the McLafferty rearrangement. (and draw the structure of the indicated species in the appropriate box). 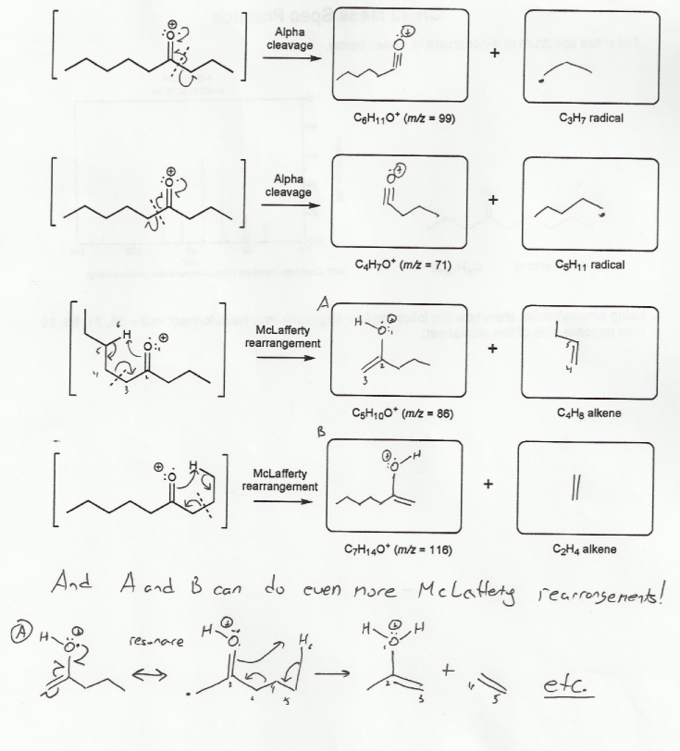 Note that I drew the McLafferty rearrangements using arrows (2 electrons moving at once). Some textbooks use hooks instead, but the results are the same. 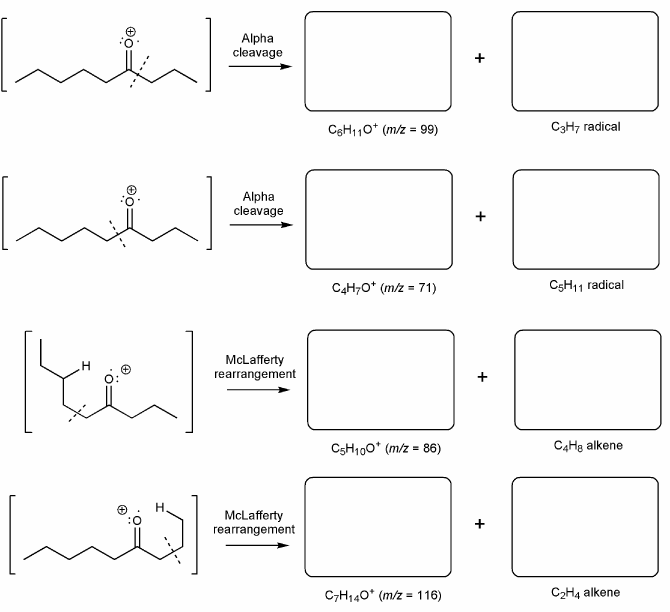 In most ungraduate organic chemistry courses, being able to draw an alpha cleavage is much more important than a being able to draw a McLafferty rearrangement (which tends to only show up on bonus problems). MendelSet practice problem # 659 submitted by Matt on July 17, 2011.